The above is verse 5 of chapter 22 of noble Quran. It starts about a difficult unseen issue where majority of people are in doubt about i.e. Resurrection. Then the tour will take us from the very beginning of human creation where certain embryonic stages, are described which were unseen at time of noble Quran revelation more than 1400 years ago but now are unmasked by science. This proves the truth of Islam & truth of resurrection. 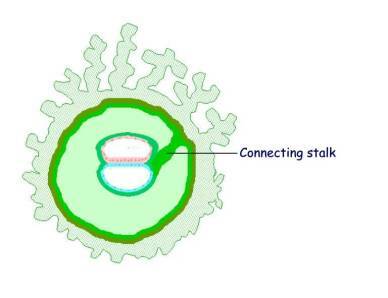 The amazing nature of stage 3 is that it is microscopic life so tiny & occur before day 26 of embryonic life within its mother womb where embryo is suspended by the so called connecting stalk. 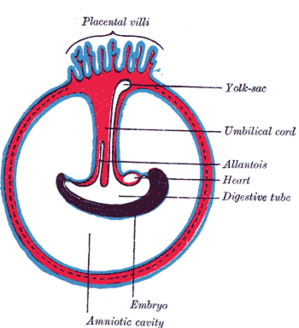 Neither, the embryo nor the connecting stalk can be seen by the naked eyes.